Not my personal rig. Built it for my Youtube channel cause I need more content/videos. I already made a Ryzen 3 build a few months ago. Used the 1050 Ti because I have it on hand and want to compare the Vega integrated graphics. Good job on the build! Great cable management! That's what's wrong a cable like the USB 3.0 on Cases like Rosewill. But nonetheless you did a hell of a job, especially considering the Case and a non-modular ATX. I'm quite inspired as well, because it looks really hard from my experience. 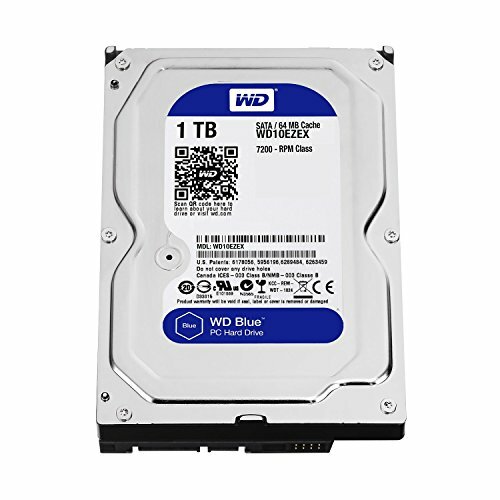 I see you have Intel Optane in the first picture, does it work with this build? And also do you have benchmarks for your build? Why the Apu and dedicated graphics card? The 2200G is $5 cheaper than the Ryzen 1200 and performs 10% better. Even if you don't plan on using the integrated Vega graphics, it's still a really good quad-core for the price. And it sure doesn't hurt to have a backup graphics solution on hand in case something happens to the 1050ti. I've ran the benchmarks on that particular site with every computer I've built (quite a few) and I have found it to be very accurate in terms of measuring overall performance. If I put all my builds in a line according to those reported scores, I would see a definite scaling from best to worst in terms of performance. What I like about Userbenchmark is that you actually download a benchmarking tool to your computer and run it. It tests the major components in your system and breaks down performance of the CPU, memory, storage drives, and graphics giving you performance metrics of each component. I understand that these tests are overly broad and not specific to each individual user-task. That being said, it is a very good overall test to gauge a computer's relative performance in common tasks. You may be thinking of sites like GPUBoss, yes I agree those are way off a lot of the time and do not actually test individual systems, rather they draw data from other sites and pretty much just mash them all up together. Why in the world would you think that? 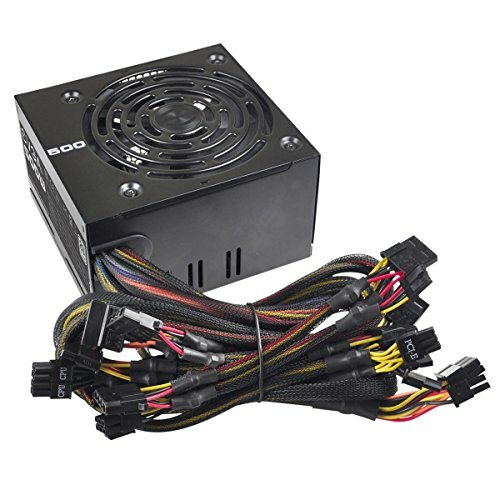 The 2200g has a 300 MHz speed increase and is a revised and refreshed product. Saying they perform the same, well that would be like saying the i5-6500 and i5-7500 perform the same which is just not true. Youtube channel purposes. I have the 1050 Ti on hand so I just threw it on the build. Besides, I am gonna do game benchmarks comparing the 1050 ti and the integrated vega graphics. I completely understand your point. Especially when graphic card prices are skyrocketing high. Thank You! I've edited my description. Please read it. It's just a content for my Youtube Channel. It's possible prices will drop on the 1200 soon, but right now the 2200G is actually $5 cheaper and still performs (CPU only of course) about 10% better overall compared to the 1200. For the here and now, I would definitely go with the 2200g. even if you don't plan on using the iGPU, it is there and basically free when compared with the 1200. Most users buying the lowest-priced processor on the line aren't going to be utilizing all the PCI lanes anyway, as you probably aren't going to crossfire or SLI anything on this system. I would say that the lesser amount of L3 will likely be offset by the increased performance of a single CCX. Depends on the application. If you're gaming, the lesser amount of L3 is negligible. On more productive tasks, its on a case-by-case scenario. As for the PCI-E lanes, while I'm not saying or expecting a Ryzen G user to CF or SLI any cards, I do believe it's a bummer to have the bandwidth of, say 16x PCI-E 2.0 considering that while the bus isn't fully utilized by GPUs anyway, there is a negligible loss in performance. Please read my description. Thank You! yeah, I am confused too! You know, there is a method of putting words together where they actually make sense, right? I'm not sure why you're getting downvoted, what you said is true, Crazycatman's "Sentence" is illegible. Well, then you're in luck. They did go with a Ryzen 3...2200G. Thank You! Not my personal rig. Youtube purposes :D Honestly though, I just thought about that after your comment. How were you able to use that motherboard since it doesn't support the new Ryzen CPU's? 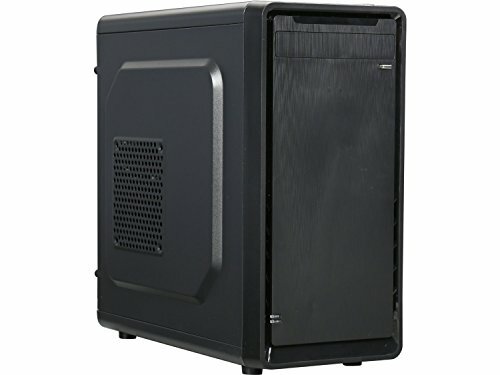 I'm curious because I'm planning on building a PC with the Ryzen 2200G and I need to know how to make the MB compatible with the CPU. It is compatible, you just have to update the bios using an older ryzen cpu. For me, I asked my local computer store to do it for me. Is it possible to ask the motherboard company to update for me? I think you can but you would probably have to send the motherboard directly to them. They might cover the shipping cost or you pay for it. If you are buying from a well-known site/store (newegg/amazon) try asking a customer rep if they could do it for you. Nice Work! Love the cable management. 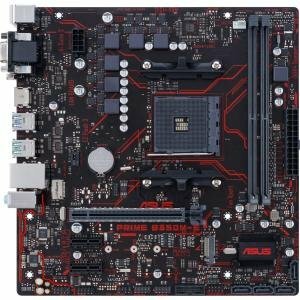 Did you update the MoBo BiOS before hand (to support RavenRidge CPU)? Or you managed to post and update the bios with the new CPU? Thanks! The technicians at the store where I bought the mobo updated the bios for me. how did you get the ryzen 2200g to work because every motherboard I try to get with it on pc part picker comes up with you need a bios update and all that stuff? arnt AMD giving out free CPU for the bios update for the ryzen 2200g so they can update the motherboard to fit the ryzen 2200g I think it was like a A-6xxx something. Though you have to return the CPU but no the fan for the CPU. So glad I came across this!! I am planning on doing the same exact thing! I will just be doing some live streaming with my Xbox One Console through the PC! would the iGPU be enough to do a 720 live stream. And also if we were to take the extra video card you got out of the equation, how does it perform with video editing? Looks pretty similiar to my build! Nice! I actually just ran GTA V earlier and I'm getting 1-5 FPS with the Integrated Vega Graphics. I saw a video on Youtube showing this PC running GTA at 720p and getting over 60 FPS. I'm not really sure how powerful the iGPU on this one is. 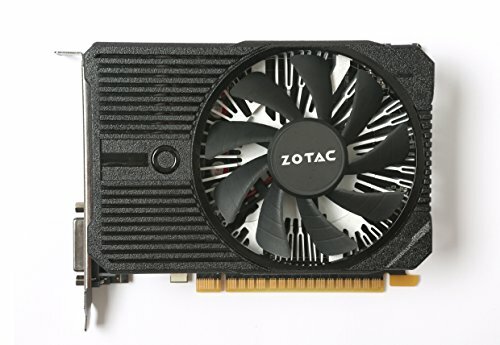 How did you manage to find a GTX 1050 Ti for $237.03? You can find them cheaper for 190..
Bought it last year. Fyi, prices have gone up this year and are actually starting to go lower again this month. Did you have to update the bios of the mobo before using the 2200G? Can you find the GTX 1050 Ti anywhere else for cheaper? Why would anyone consider a 1050ti for the price of a RX 580. A 8 gb 570 is much faster and under $140. Others are telling you to wait for 1200 prices to drop, or wondering why you're mixing IGPU with a graphics card, but it looks like they know nothing about computers. Probably because the actual CPU performance of the 2200G lacks compared to the 1200 slightly. And, it has a halved L3 cache. Now, it's good to have integrated graphics for troubleshooting (and I get this being a deciding factor). But, if you are talking about $5 being the reason to go with a slightly weaker chip....that just seems silly. A halved L3 cache can make a difference in CPU performance, especially in regards to games. And, no, the 2200G does not outperform the 1200 in CPU performance. Here is a thorough benchmark conducted on game performance. As you can see, in most cases the 1200 beats the 2200G. And, given that these are running at base clocks with the 1200 (3.1 stock / 3.4 turbo) sitting firmly behind the 2200G (3.5 stock / 3.7 turbo) when the 1200 beats the 2200G, it would beat it even harder if frequencies were standardized. Also, in the instances the 2200G beats the 1200, the 1200 would likely make up that gap and equal or outperform the 2200G if standardizing frequencies. So, a) would you like to explain how the 2200G "outperforms " the 1200 and b) would you like to provide proof with benchmarks and quantitative figures? There were only 3 games compared in that article between that showed results for both the 1200 and the 2200g, and both CPUs were paired with a GTX 1080. OK. First off let me say that niether one of these processors should never be paired with a GTX1080 (or equivalent) card in any real gaming machine. It's just a waste of a 1080. This is a budget level CPU/APU and will most commonly be paired with either a GTX 1050ti/1060 or RX570/580. It should have been tested as such for real-world results. Pairing these processors with a GTX 1080 artificially creates a massive system bottleneck at the CPU which typical end-users will never experience. Second, even assuming that someone would build a Ryzen 1200 / GTX1080 rig for 1440p gaming, the largest lead the 1200 had over the 2200G was 6FPS (Ghost Recon @ 1440p). If we strictly look at the 1080p numbers the largest lead was in Deus Ex, where the 2200G gained 10FPS over the 1200. I would expect that if these two processors were tested against eachother while paired with GPUs in their own weight class, we would see results within margin of error. Pairing these processors with a GTX 1080 artificially creates a massive system bottleneck at the CPU which typical end-users will never experience. You want a system bottleneck on the CPU when testing CPU performance....that let's you know that it was the CPU that was holding things back. Otherwise you'll have to play the game of "was it the CPU or the GPU that limited frames there?" That's just not how testing is conducted. You will notice this methodology is standard. econd, even assuming that someone would build a Ryzen 1200 / GTX1080 rig for 1440p gaming, the largest lead the 1200 had over the 2200G was 6FPS (Ghost Recon @ 1440p). Yes, this was the largest lead the 1200 had...while running at lower clock speeds. Standardize clockspeeds and margins would widen. OK. First off let me say that niether one of these processors should never be paired with a GTX1080 (or equivalent) card in any real gaming machine. This is absolutely not how it works. You don't pick a CPU based on your GPU and you don't do the reverse either. You pick a CPU primarily for the frame rates you want and a GPU for the resolution you want. Pairing a G4560 with a GTX 1080 ti makes perfect sense if you are building a purely gaming rig that is going for 4K @ 60 fps. Yes, but that doesn't mean we can just let fiction fly as fact. People are spending money based on suggestions gained here. So if I see a bad suggestion, I am going to call it what it is. Luigi , you are losing gfx perf by having only a single stick of ram, very significant loss, you also lose some perf by only having 2400mhz ram , 3000mhz would go better. But great stuff , I intend to build something in a small case when RAM prices are better £100 for 2x4gb , still, even in 03042018.